Vicki Henn got her start at PNC Bank more than 25 years ago. Today she is executive vice president and chief human resources officer at the company. “I’m an example of what happens when you identify talent in someone and then make an investment – (PNC CEO) Bill Demchak did that with me.” Henn has made it part of her mission to provide opportunities for others in the same way. Adding access to networking opportunities to this culture of intentional growth and development, has created pathways to success for many women at PNC. Laura Gamble, regional president for Greater Maryland, says the culture at PNC was a key reason she joined the company. “The culture of collaboration and teamwork is really strong here,” Gamble says. "I have certainly benefitted from some terrific female bosses and mentors, and I believe I should return the favor. At this point in my career, I can be of help by connecting women to job opportunities and business opportunities. I think that is very important because it can help more women be successful in their careers." Shakesi Morris is yet another good example of internal movement at PNC. She began her career with PNC in 2007 as a Branch Manager in Mobile, Ala. Now, she’s a senior vice president and channel manager for PNC Bank’s National Retail Digital Strategy. “It’s always a pleasure learning from other professional women, and finding inspiration in their stories of progression and perseverance,” says Morris. During her 12-year tenure with the company, she has been chosen to participate in multiple leadership training programs including PNC’s Women’s Leadership Development Program. "PNC’s leadership training programs helped me understand my personal strengths and the importance of developing others, how to work with diverse groups and departments to accomplish a common goal, and the ability to identify the talents of our team and leverage the value they bring to our clients and internal team members." PNC’s data backs up what these women say. According to Henn, the percentage of women occupying first level, mid-level and senior level roles at the organization has increased in each category since 2015. Sixty percent of PNC’s workforce are women and 52 percent of managers are women. 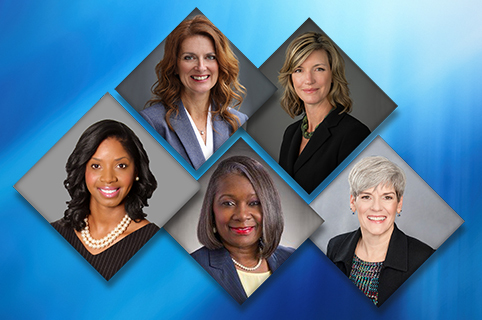 Further, PNC’s Board of Directors is comprised of 36 percent women, which is well above the national average. In January it was announced PNC was one of 230 companies in the world included in the 2019 Bloomberg Gender-Equality Index (GEI), proving that PNC is committed to the success and advancement of its female employees. PNC has also earned spots on the NAFE Top Companies for Executive Women, Working Mother 100 Best Companies, Best Company for Dads lists and the Diversity Best Practices Inclusion Index. "A successful career is about the positive impact you have on others – your team, your peers, your boss, clients and ultimately shareholders. I will consider my career a success if I have provided a model of leadership that all of those groups can relate to and find accessible."